This option allows a more detailed configuration over the visualization axis. 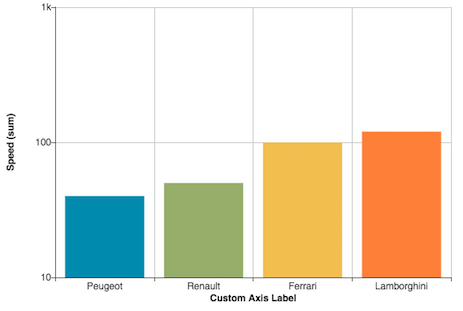 Each axis can be modified independently by specifying the name (xAxis / yAxis) and the configuration for that axis. See additional valid configurations below.